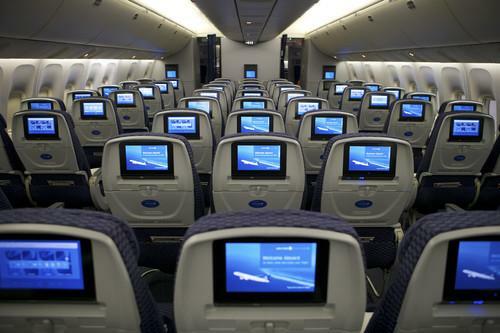 Here's one more thing for nervous flyers to worry about: Two U.S. federal agencies are advising airlines to look out for signs that passengers may be trying to hack into planes' navigation systems via Wi-Fi or onboard entertainment systems, Wired reports. The FBI and TSA apparently don't have evidence that this is happening, but are taking seriously claims that it can be done, and issued a list of things to be on the lookout for. The out-of-control drone that crashed on the White House lawn in January seemed to be a harmless accident; less so the camera-equipped drone carrying a bottle marked with the radioactive symbol that was discovered on the roof of the Japanese prime minister's office in central Tokyo on Wednesday morning. Prime Minister Shinzo Abe was not there at the time. The incident may put a sharper focus on regulation of the devices. Google has taken a big step in its efforts to make mobile websites act more like native applications on Android smartphones, by adding notifications to its Chrome browser. That means Android developers don't have to decide between the engagement potential of a native app and the reach of a mobile website, Google said in a blog post on Monday. Users still have to opt in before a website can send them any messages. BlackBerry seems intent to continue trading on its reputation for enterprise security, and on Tuesday said it was buying WatchDox, a maker of file security tools, Reuters reported. A Blackberry executive told the news agency that it plans to maintain an R&D facility in Israel as a way to attract more security talent. Twitter has toughened its position on threatening tweets made using the service, will now suspend user accounts if they are promoting violence against others, the New York Times reports. It announced the policy on Tuesday, and will also "begin testing the automatic blocking of tweets that match previous patterns of harassment," the paper said. A multinational coalition of more than 60 civil rights groups hailing from every continent is calling on the European Commission to stop what they call an effort to undermine the right to privacy. The groups said in an email to the Commission on Tuesday that they are concerned that changes to the data protection reform package underway in the Council of the EU will leave privacy protection weaker than it is now. Contrary to expectations that U.S. lawmakers would move to stop the NSA from collecting phone records in bulk, the leader of the Republican majority in the Senate on Tuesday introduced legislation to extend the NSA's broad surveillance power before it expires in June, the Hill reports. Senate Majority Leader Mitch McConnell has also used his position to fast-track the proposal, bringing it to the floor for a vote without debate in committee. The Hill quoted Democratic Senator Patrick Leahy as calling McConnell's move a "tone-deaf attempt to pave the way for five and a half more years of unchecked surveillance." It's no secret that Google is planning to offer its own mobile telecom service over Sprint and T-Mobile's networks: it's said that it wants to be able to test new services for Android phones. Now, the Wall Street Journal reports that Google is introducing the service on Wednesday -- but it may only be accessible to owners of Google's Nexus 6 phones. Control your TV by waving your arm: Vtouch is using set-top 3D motion sensors to control content on TV screens and connected appliances in the smart home. The Internet is running out of IPv4 addresses, and IPv6 has been ready for years. So why are there still so many holdouts?